“Being selfish is good for you” - Platinum Marketing Global delve into this key industry secret. Platinum Marketing Global want to change the misconception that selfishness is a bad thing. The firm understands that the term is often not taken as complimentary but want contractors to realize that within reason a little bit of selfishness can go a long way in business. There is a certain drive that comes with selfishness that Platinum Marketing Global look for in each of their contractors, in hopes that they can generate the next generation of business leaders. The management has this week been tasked reading Bob Rosen ’s book Grounded: How Leaders Stay Rooted in an Uncertain World, in which he claims that when we take care of ourselves first we “show up as healthy, grounded people.” This week Platinum Marketing Global will be communicating this message to contractors in hopes to spur them to exceed their targets during the Christmas period. Of course, the firm understands that pure selfishness won't go far in the workplace and want sales representatives to always work for the good of the business overall. However, the firm believes that in certain circumstances, selfishness is essential for progression. Platinum Marketing Global has utilized one of their weekly workshops to push this point and explain why a sprinkle of selfishness is necessary for business success. Instead of spending all their time at work, selfish individuals carve out time for themselves. They use this time productively to exercise, socialize and eat well. Rather than constantly devoting themselves to their business they place themselves first and let everything else follow. 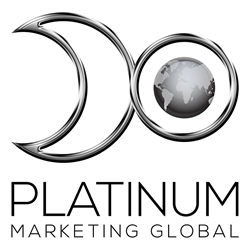 Platinum Marketing Global are strong proponents of strict organization and believe that their contractors should account for themselves first and then work everything else out. Bob Rosen’s book concludes that selfish people are more confident and less likely to give up on goals as they go after what they want unapologetically and are not afraid to ask for the pay rise or promotion. There is a certain drive that comes with selfishness that Platinum Marketing Global look for in each of their contractors, in hopes that they can generate the next generation of business leaders. If an individual spends more time doing what they enjoy they will inevitably be happier. They hope each of their contractors enjoys their sales role and are keen to hire those who have a well-developed sense of who they are, what they experience and a high ability to communicate with others. While some see putting yourself first as negative, Platinum Marketing Global believe it is a contractor’s job to take care of themselves and get what they need. With these factors in mind, Platinum Marketing Global are hopeful that it can work with its workforce to find the perfect balance of selflessness and selfishness. The firm believes that once sales representatives find this ideal balance, they will begin to excel in their role.